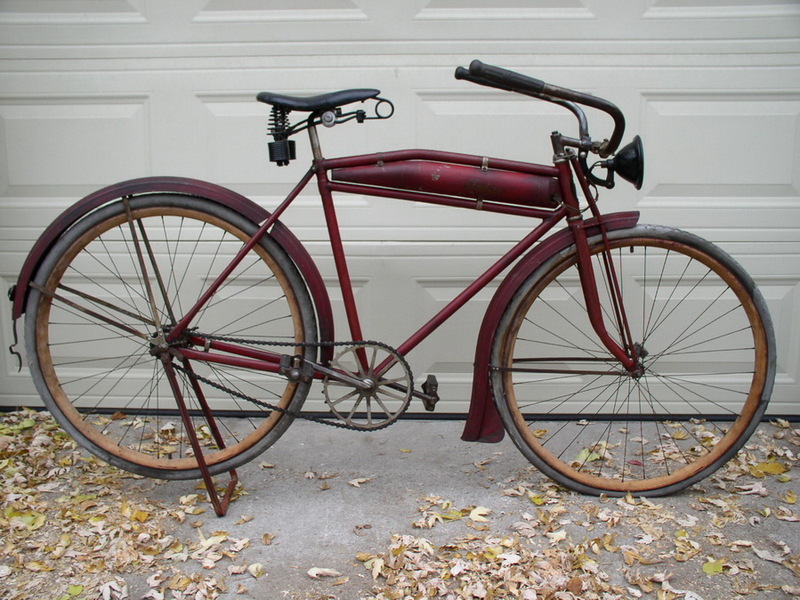 This 1916 Indian bicycle, owned by Marc Pfisterer is the most deluxe model that was offered by the company, and is in very good original condition for it’s age. Officially called the “Electrically Equipped” model No. 12, by Indian. 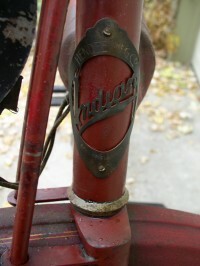 Manufactured by the Pope Manufacturing Company for Hendee (makers of Indian motorcycles), it is one of the most desirable bicycles of the 1910’s-1920’s. 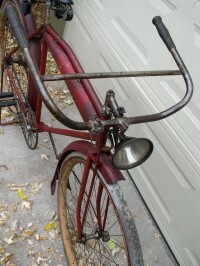 The “tank” holds a dry-cell battery that powers the headlight. Deluxe front fender with skirted sides gives it a distinct look, similar to the motorcycles offered by the company. 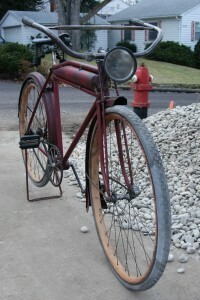 No, the chain-guard is not missing… most bicycles built for men, even deluxe ones from this era did not have chain-guards.